Find the sources here (bbdcc8888ebb4739025395f8c1c253fa5fd2bb15). Ability to do multi packet state-full fuzzing with the ability to use received target data in response. We already had a lot of success using it, now you will be able to know the true promises. Find the source here (c715a7ba894b44497b98659242fce52128696a17). Today I’m going to open up the ‘Week of releases’, which means there will be some new software in the next days. SCTP support in the base. 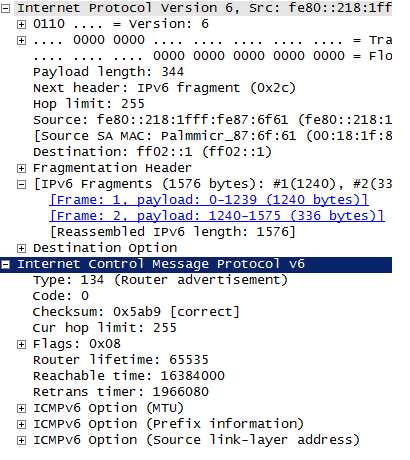 Invalid option and invalid header scan in the ICMP6 module. On-line msg updates for neighbor messages in the RIP module. Also there are new packages for gentoo, ubuntu-11.04 and fedora-15, also its the first time, packages for amd64 systems are available. Some days ago a security advisory related to web application firewalls (WAFs) was published on Full Disclosure. Wendel Guglielmetti Henrique found another bug in the IBM Web Application Firewall which can be used to circumvent the WAF and execute typical web application attacks like SQL injection (click here for details). Wendel talked already (look here) at the Troopers Conference in 2009 about the different techniques to identify and bypass WAFs, so this kind of bypass methods are not quite new. 1. WAFs will protect a web application from all web attacks . 2. WAFs are transparent and can’t be detected . 3. After installation of a WAF our web application is secure, no further “To Dos” . 4. WAFs are smart, so they can be used with any web application, no matter how complex it is . 5. Vulnerabilities in web applications can’t be fixed in time, only a WAF can help to reduce the attack surface. And now let us dig a little bit deeper into these myths ;-). There are different attack detection models used by common WAFs like signature based detection, behavior based detection or a whitelist approach. These detection models are also known by attackers, so it’s not too hard to construct an attack that will pass the detection engines. Just a simple example for signatures ;-): Studying sql injection attacks we can learn from all the examples that we can manipulate “WHERE clauses” with attacks like “or 1=1”. This is a typical signature for the detection engine of WAFs, but what about using “or 9=9” or even smarter 😉 “or 14<15”? This might sound ridiculous for most of you, but this already worked at least against one WAF 😉 and there are much more leet attacks to circumvent WAFs (sorry that we don’t disclose any vendor names, but this post is about WAFs in general). Another point to mention are the different types of attacks against web applications, it’s not all about SQL injection and Cross-Site Scripting attacks, there also logic flaws that can be attacked or the typical privilege escalation problem “can user A access data of user B?”. A WAF can’t protect against these attacks, it a WAF can raise the bar for attackers under some circumstances, but it can’t protect a web application from skilled attackers. In 2009, initially at Troopers ;-), Wendel and Sandro Gauci published a tool called wafw00f and described their approach to fingerprint WAFs in different talks at security conferences. This already proves that this myth is not true. Furthermore there will be another tool release from ERNW soon, so stay tuned, it will be available for download shortly ;-). WAFs require a lot of operational effort just because web applications offer more and more functionality and the main purpose of a web application is to support the organization’s business. WAF administrators have to ensure that the WAF doesn’t block any legitimate traffic. It’s almost the same as with Intrusion Detection and Prevention Systems, they require a lot of fine tuning to detect important attacks and ensure functionality in parallel. History proves that this didn’t (and still doesn’t) work for most IDS/IPS implementations, why should it work for WAFs ;-)? Today’s web applications are often quite complex, they use DOM based communication, web services with encryption and very often they create a lot of dynamic content. A WAF can’t use a whitelist approach or the behavior based detection model with these complex web applications because the content changes dynamically. This reduces the options to the signature based detection model which is not as effective as many people believe (see myth No. 1). This is one of the most common sales arguments, because it contains a lot of reasonable arguments, but what these sales guys don’t tell is the fact, that a WAF won’t solve your problem either ;-). Talking about risk analysis the ERNW way we have 3 contributing factors: probability, vulnerability and impact. A WAF won’t have any influance on the impact, because if the vulnerability gets exploited there’s still the same impact. Looking at probabilities with the risk analysis view, you have to take care that you don’t consider existing controls (like WAFs 😉 ) because we’re talking about the probability that someone tries to attack your web application and I think that’s pretty clear that the installation of a WAF won’t change that ;-). So there’s only the vulnerability factor left that you can change with the implementation of controls. But me let me ask one question using the picture of the Fukushima incident: What is the better solution to protect nuclear plants from tsunamis? 1. Building a high wall around it to protect it from the water? 2. Build the nuclear plant at a place where tsunamis can’t occur? I think the answer is obvious and it’s the same with web application vulnerabilities, if you fix them there’s no need for a WAF. If you start using a Security Development Lifecycle (SDL) you can reach this goal with reasonable effort ;-), so it’s not a matter of costs. Clarifying these myths of web application firewalls, I think the conclusions are clear. Spend your resources for fixing the vulnerabilities in your web applications instead of buying another appliance that needs operational effort, only slightly reducing the vulnerability instead of eliminating it and also costing more money. We have quite a lot of experience supporting our customers with a SDL and from this experience we can say, that it works effectively and can be implemented more easily than many people think. You are still not convinced ;-)? In short we will publish an ERNW Newsletter (our newsletter archive can be found here) describing techniques to detect und circumvent WAFs and also a new tool called TSAKWAF (The Swiss Army Knife for Web Application Firewalls) which implements these techniques for practical use. Maybe this will change your mind ;-). didn’t find the time so far to post a short blog about HITB Amsterdam so far… but here we go. Unfortunately I couldn’t arrive in AMS earlier than Thursday evening so I missed the first day (and – from what I heard – some great talks). However we went out for dinner that night with the likes of Andreas (Wiegenstein), Jim (Geovedi), Raoul (Chiesa), Travis (Goodspeed), Claudio (Criscione) and some more guys and I had some quite good conversations, both on technical matters and on Intra-European cultural differences ;-). Btw: thanks again to Martijn for taking care of the restaurant. On Friday I listened to Travis’ talk on “Building a Promiscuous nRF24L01+ Packet Sniffer” (cool & scary stuff) and a part of this talk on iPhone data protection (well delivered as well). In the afternoon Daniel and I gave an updated version of the “Attacking 3G and 4G Telecommunication Networks ” presentation (the HITB version can be found here). Overall I can say that HITB was an excellently organized event with a great speaker line-up (not sure if we contributed to that one ;-)) and some innovative ideas (inviting a bunch of local hacker spaces among those). Dhillon is a fabulous host and I already regard HITB as one of the major European security events (next to Troopers, of course ;-)). – evaluating the operational “feasibility” (which is “a positive factor”) as opposed to the operational “impact” (being a “negative factor”) allows for easier integration into a metric scheme, as the two main factors-to-considered – the other one is the “security benefit” of a control – can be expressed on the same scale then, with a high value meaning a good thing. – as the (maturity of) and as-is state of operational processes usually have a much higher impact on the security posture of a given environment than the components deployed in the environment (see this presentation, slide 14ff. ), this approach focuses on _operational costs_ and does not take initial investment costs into account. In short: opex is the thing to look at, not capex. a) How many lines of code/configuration does it need? b) Can it be implemented by means of templates or scripts? Effort needed for this? c) To what degree does the implementation differ in different scenarios (e.g. per system/subnet/site)? Can “the difference” be scripted, e.g. 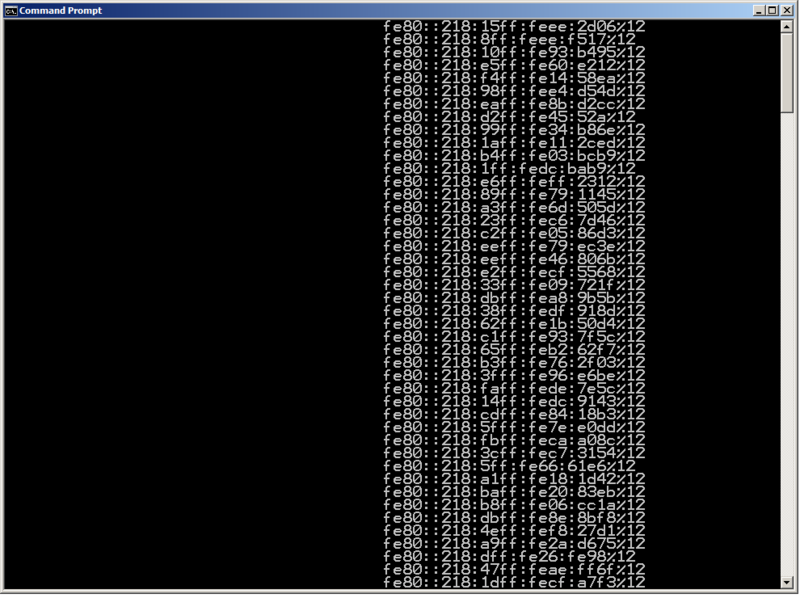 taken from another source (a CMDB) or “calculated” (like the addresses of neighboring routers on the local link)? d) How much additional configuration is needed to establish the previous functionality/state? E.g. to pass legitimate traffic in case of a (“fresh”) application of ACLs? e) What’s the “business impact” incl. number of associated support/helpdesk calls? 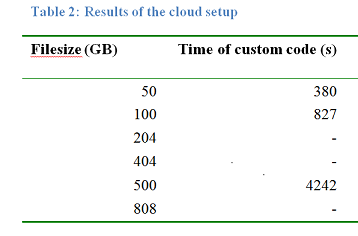 f) Cost for _deployment_ of additional hardware, licenses or other tangibles. (again, the cost for their initial procurement is capex). g) In case of a tangible security control think about the full life-cycle management of the asset (patching, monitoring, alerting, capacity management and the like). This one is often heavily overlooked, see for example this excellent blog post of Anton Chuvakin for a discussion of the “real costs of a SIEM deployment”. h) Does the control require a new operational process or task? i) Propagation: how far does the (implementation of the) control reach? j) How many different people or companies/partners (sub contractors) touch the work? k) Impact on OLAs and SLAs. The above might give an idea of how to tackle the task of evaluating the operational feasibility. In another, future blogpost I may discuss a sample metric using this stuff from a real-world environment (will have to write down and anonymize some pieces though). For the moment many thanks to Friedwart, Angus and Sergey for valuable input to the above list. Feel free to contact us (or leave a comment) with suggestions as for additional considerations.